We can help service any vehicle you drive. Every factory has maintenance suggestions for your vehicle, whether it is a suggested oil change schedule or services that should be performed at various mileage markers. We can service your vehicle without voiding any manufacturers’ warranty. Often times we are far quicker and more convenient than your dealership. Let us show you the personal touch we can bring to your automotive repair and service experience. Nobody likes it when their car or SUV breaks down on the side of the road or won’t start leaving you stranded in a parking lot. We can help you with regular preventative maintenance. Even regularly scheduled oil changes is not only better for your vehicle, it allows for one of our professional technicians to inspect your vehicle. This means that those components in your vehicle that are most subject to wear and tear can be monitored and managed before they require far more complicated and expensive repairs. No matter what car, truck or SUV you drive, oil changes are one of the most efficient ways to maintain your vehicle. Regular maintenance, such as oil changes, is also probably the most cost effective way to maintain your vehicle. We’ve all heard the old adage “Change your oil every three months or three thousand miles.” While it won’t hurt your vehicle to have your oil changed more frequently than it may need, we suggest you consult your owner’s manual because most modern vehicles can now go longer between regular service intervals. It is important to keep in mind that the manufacturer’s suggestions are based on ideal driving conditions. Long stop and go commutes, excessive towing, or extreme weather can all be considered severe driving conditions. 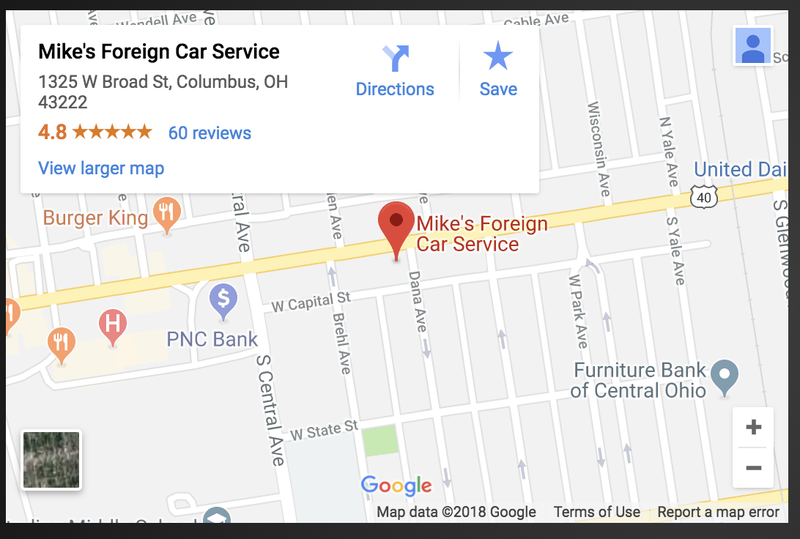 Bring your car to Mike’s Foreign Car Service and we will be happy to suggest a maintenance schedule based on your driving habits and the current condition of your vehicle. We aim to give you the peace of mind you are looking for when having a professional technician service your car. We pride ourselves on building lasting relationship with our customers. Let us take care of all your automotive needs and we’ll show you why we have such an exceptional reputation when it comes to servicing foreign makes and models.